Meh.<br><br>but still the whaling wtf! Had the misfortune of hearing this song and may be one of his worst yet. I agree with some of the YouTube comments that he does sound a bit like JT in this track.<br><br>May be some of the worst verses I've heard in a song. The verses are an atrocity, with both terrible and sub-standard lyrics and music. Yet, I've come to expect this from him. It's not that bad, but it's Bieber so I must TRASH it and give it one star!!!1!11!! !<br><br>Or I could just say that the verses remind me of a watered down version of Timberlake's early solo material and don't sound much like Bieber at all, and the chorus isn't overly impressive but is the best part of the song. It's not too bad a song, but it's not great. wordt tijd dat hij uit de kast komt en echt leuke muziek gaat maken.<br>Toch ook opmerkelijk dat hij nooit de top 10 haalt. Drei Sachen:<br>1. Ich gebe ihm mal, aus reiner Nächstenliebe, wie es die Bibel schon vorsieht, keine 1*. Das ist nicht fair. Vielleicht ist er privat ganz in ordnung ... (niiicht=))<br>2. Wenn ich die Strophen höre, (und vielleicht dazu das Cover sehe), denke ich: er will es!! Gleich hier und jetzt. Und dann kommt die Strophe und, und, und ... ich weiss auch nicht.<br>3. Was ist "swaggie"?? An embarrassing attempt to mature his image. He looks ridiculous and the talk bit at the start is just disgusting. I wouldn't mind the song if he didn't do that talk part. Also despite his young age, he sounds horrible when he sings high.<br><br>Poor poor track, and I can't understand why this has had a decent chart run. 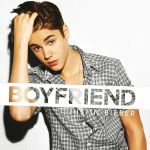 At least Baby and Somebody To Love were catchy.<br><br>EDIT: Somewhere deep inside of me, I really like it. A two is sufficient for now. Da würd ich zustimmen. Entwicklung ist zu sehen, auch der Vergleich mit JT liegt nahe. <br>Ich finde den Song deutlich besser als alle seine anderen, da ich ihn hören kann.<br>Gut. Ist das ein Schwuler? Oder eine Schlampe? Ach wer weiß das schon...<br>Jedenfalls ist eines sicher: Es macht grausliche "Musik"! 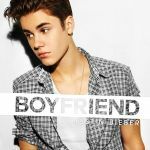 Ach der Song von Mr. Bieber ist auch ganz schick.<br><br>Mal sehr akkustisch u. erinnert wirklich soundtechnisch an *NSYNC`s "Girlfriend"-Song. RV, Baby is juist zijn slechtste nummer.<br><br>Een stom nummer. Ten eerste rapt hij in het couplet, wat ik niet vind klinken, evenals het refrein. Lol I was in sixth grade at the time of this and when it came out everyone seemed to forgot that he was Justin Bieber and we all kind of loved this and learnt the rap and ugh... bad! <br><br>Nowadays I don't know why I liked it but for the nostalgia I'll give it 4*. i actually really enjoyed this upon release and only recently have picked back on it, probly my first 'believer' moment.<br><br>Peaked at #40 on my personal chart.